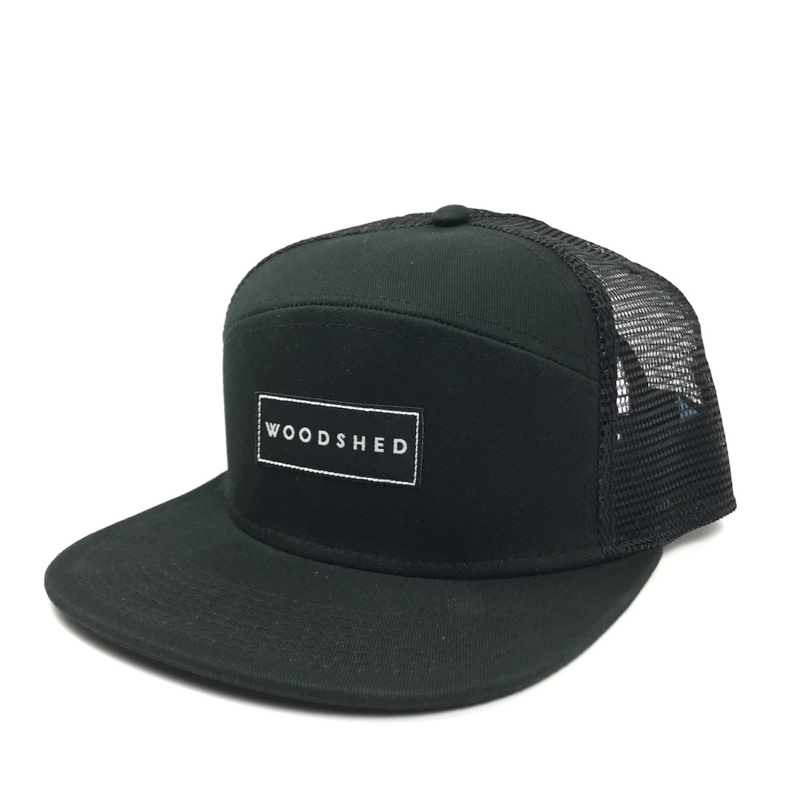 Black 6-panel trucker with black woven Woodshed label, and black mesh back. Black 6-panel trucker with black woven Woodshed label, and black mesh back. Cotton front, polyester mesh back, adjustable snap closure.